Every year, an estimated $330 million worth of natural gas is wasted on federal and tribal lands, while the oil & gas industry vents, leaks, and simply burns off (in a process called "flaring") methane — a dangerous greenhouse gas. And according to a 2015 study, most of this is happening in your backyard, with Utah losing $28.4 million in revenue every year. 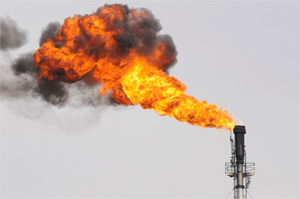 A huge chunk of that is your money literally going up in smoke, as taxpayers are expected to make up the difference, and foot the bill for what the oil & gas industry have squandered while they’ve dirtied our air and escalated the climate crisis. The Trump Administration has launched multiple attacks on safeguards protecting us from this pollution — and waste. Their latest attempt is the proposal of a dangerously lax new regulation that takes direct aim at your health and safety — and wallet. Don't stand for it: Tell the Department of Interior that Americans deserve real protections against this pollution from the Bureau of Land Management. I am writing today in strong opposition to BLM's recent proposal to weaken crucial methane waste protections. Doing so defends the worst actors of the oil & gas industry, and puts their interests above the health and safety of American families and their communities, all while wasting taxpayer dollars. Since 2013, more than $1.7 billion worth of natural gas has been squandered on public and tribal lands. The best in the business have made it clear that this problem can be fixed using available, low-cost technologies. And the majority of Americans want to see strong protections implemented. Instead of moving forward with this dangerous new proposal, please reestablish the previous limits that effectively protected Americans' health, safety, and wallets.